Pre Sports massage oil which helps improve blood flow to the muscles. 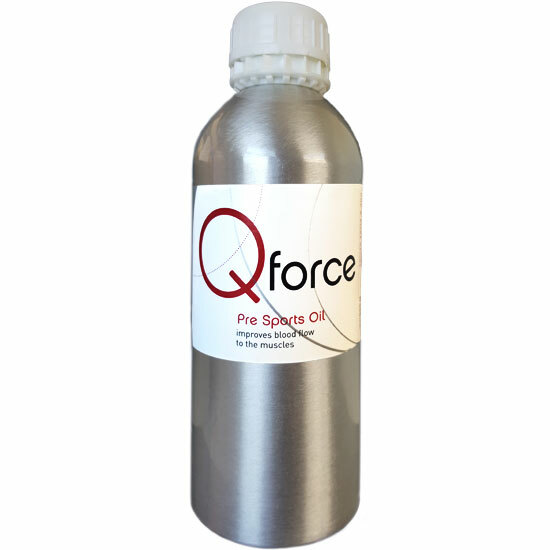 Qforce Pre Sports Oil helps improve blood flow to the muscles. Developed using warming oils that soak into the muscles while the athlete is warming up, the oil has special therapeutic qualities and can help protect from further injuries. 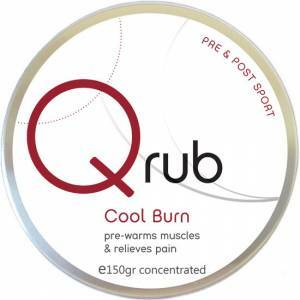 Massage into the muscles just prior to exercising, can be used with COOL BURN (wait 5 mins after Cool Burn has been applied). I’m starting five in basketball and I reckon that Qrub followed by this Oil has made a big difference to my game in the 1st quarter. Legs are prepped and ready to thunder and although only 5’10” this stuff has me jumping so high I’m practically dunking.